I ventured forth to go see if the lakes were still making fog by sublimating. Temperatures were in the right range - 44 (F) - but the wind was pretty stiff so it was not manifesting as fog. 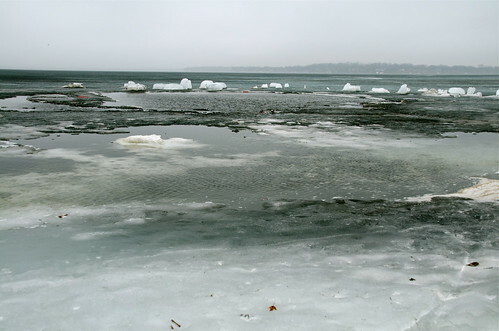 Instead there was a haze, and the ice was that dark, dark gray that presages the sudden transition to open water. It won't be more than a week or so before the lakes are open water again. 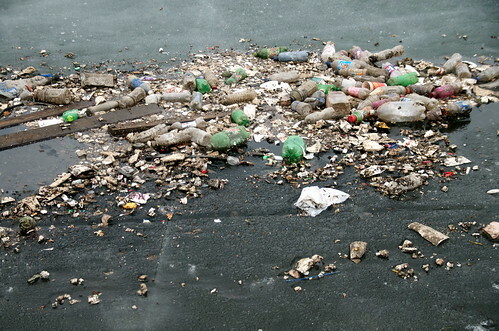 Good thing, too, else the pigs that ice fish on Brittingham Bay would have longer to through their crap on the ice so that it all accumulates in the lake. Some people's kids.